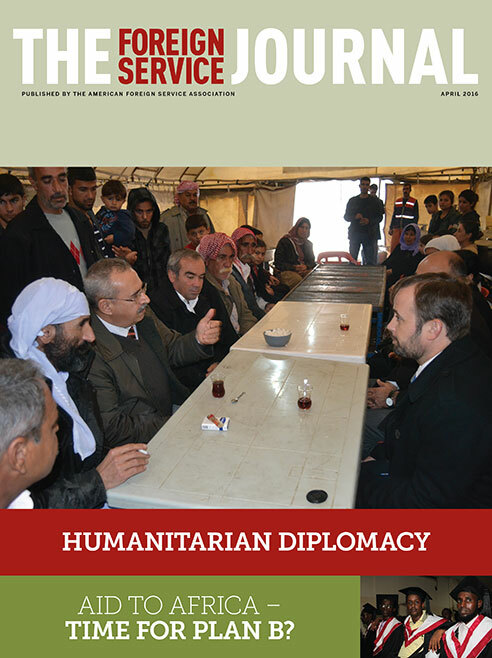 The April issue focuses on humanitarian diplomacy. An experienced practitioner addresses today’s unprecedented challenges. These notes from the diary of an FSO refugee coordinator in Turkey convey the realities of the humanitarian crisis spreading from the Middle East. Historically, the United States has permanently resettled more refugees than all other countries combined. Here’s what is involved. Fifty years and trillions of dollars of foreign aid has yet to put the African continent on a real growth trajectory. Successful solutions will invariably include equal application of the rule of law and an effort to ensure “parity of esteem” between the parties. Ambassador C. Edward Dillery served as AFSA’s elected retiree vice president from 1991 to 1993 and as chair of the Scholarship Committee from 1997 to 2012.